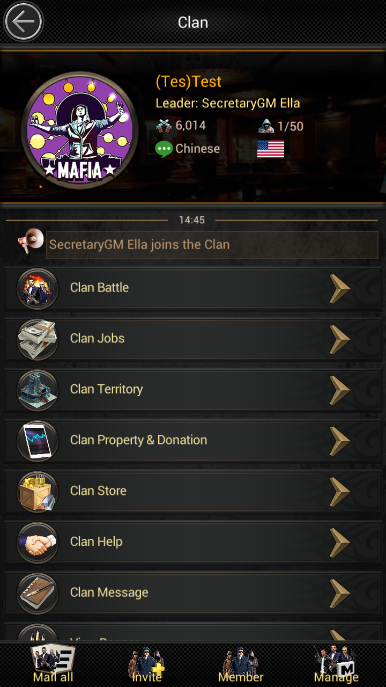 When Mansion is at lv.2, click on the “Clan” icon at the bottom to gain access to joining a clan. First time when you join a clan, 200 Gold and 2 “Clan Teleport” items will be rewarded to you.By using the clan teleport,your Mansion will teleport to a place near Clan Leader's Mansion. When Mansion is at or above lv.6, creating Clan will be free.